As small as he is, I don’t know why Floki felt the need for two chairs. 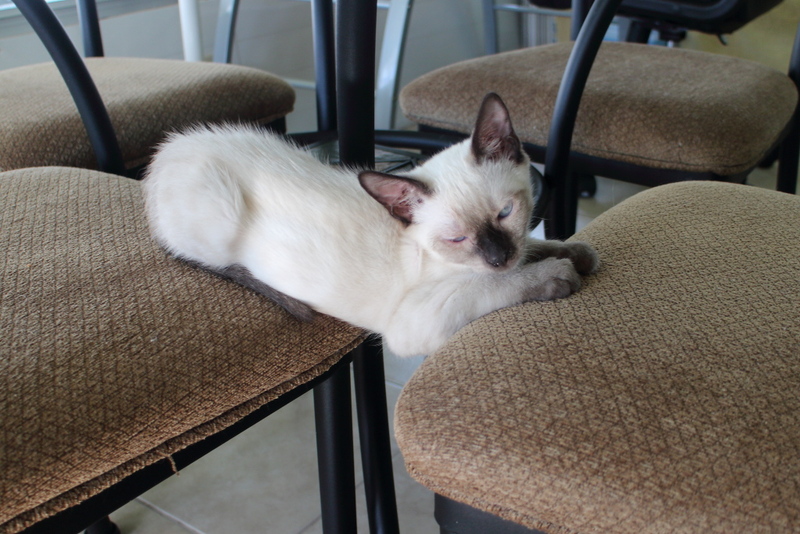 This entry was posted in Uncategorized and tagged cute siamese, Floki, kitten on July 29, 2016 by Charles Huss. I’m going to have to be like the Airlines and charge him for the extra seat. He is already a big cat in his thoughts. He has no trouble fighting the big boys. Why not? He’s a cat (although still a small one!). He can do what he wants, and he is just getting you used to it. He’s like that with the food bowls. Wait until he gets big. Oh, it’s that Siamese yoga. Ha, this is too cute!